Smith Contractors, Inc. was incorporated on January 27, 1982. Our main office is located in Lawrenceburg, Kentucky with a satellite office/maintenance shop located in Louisville, Kentucky. 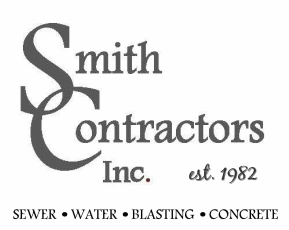 Smith Contractors, Inc. is a general contractor specializing in water and sewer lines, water and wastewater treatment plants, marine construction, blasting, heavy utility construction, etc. throughout: Kentucky, Indiana, Ohio and Tennessee. We are also qualified to perform work with the Kentucky Highway Department, Louisville Water Company, Louisville MSD, Knoxville Utility Board, Metro Nashville, and American Water. Kerry A. Smith is the president and sole stockholder of the company and Joe Smith is the vice-president. Kerry and Joe's responsibilities include: estimating, project management and daily operations. Our superintendents have years of experience in this line of heavy construction. The superintendents/foreman work under the direction of Kerry and Joe Smith.